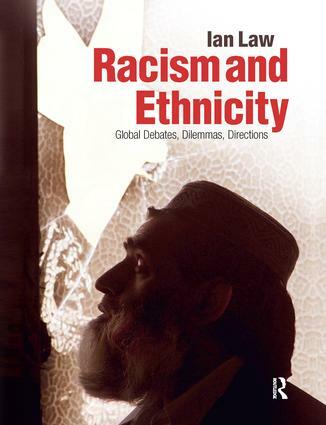 Racism and Ethnicity: Global Debates, Dilemmas, Directions examines in detail the theories, histories and principal debates of race, racism and ethnicity within a global context. The text offers critical evaluation of the work of major figures from Du Bois to Goldberg, and presents new research on pre-modern racisms, contemporary scientific racisms, racist violence, racism reduction, ethnicity in the UK and European patterns of exclusion and discrimination. Richly illustrated throughout with examples and case studies drawn from across the world and time, the book also offers a range of in-text features to aid study, including: chapter summaries, key concept boxes, chapter activities and further reading. Racism and Ethnicity: Global Debates, Dilemmas, Directions will be core reading for students at all levels across the social sciences and the humanities ranging from history and cultural studies through sociology to political and policy analysis. It will also be of significant interest to researchers and policy makers in a range of fields.